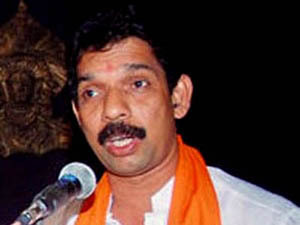 Mangaluru, Mar 16, 2015 : Speaking at an inaugural of the platinum jubilee celebrations of Karnataka Cashew Manufacturers’ Association here, DK MP Nalin Kumar Kateel, urged the association office bearers to visit New Delhi for discussions with the Ministries concerned. He said that he was well aware of the problems of the cashew industry and promised every possible help. He went on to say, reduction in cashew production, which is a positive source of foreign exchange to the country, was a matter of concern and all should work towards addressing problems being faced by the industry. Association president B. Rahul Kamath urged the government to give priority to better economic use and value to cashew apple to encourage cultivation of cashew. Platinum Jubilee celebration committee chairman Walter D’Souza submitted a memorandum to MLC Ivan D’Souza urging the government to lay down a Cashew Policy to promote the cultivation of cashew in this prime region of growth. The association would distribute more than 60,000 cashew saplings to farmers across the State before June 23 to encourage cultivation, Walter D’Souza said.